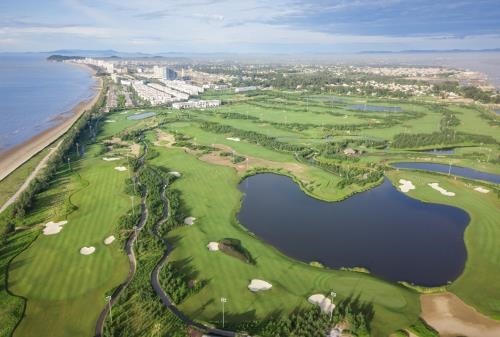 HÀ NỘI — The Bamboo Airways Summer 2019 golf tournament is scheduled to tee off at FLC Samson Golf Links in the central province of Thanh Hóa on April 2 – 7. The event will attract the participation of more than 2,000 domestic and international golfers. The tournament will have prizes totalling more than VNĐ100 billion (US$4,348,000), of which the winner of the hole-in-one competition will receive around VNĐ10 billion ($434,000) including four luxury cars, air tickets for Bamboo Airways and vouchers to play golf at the many courses of FLC Biscom.